The countdown to Christmas has begun and I couldn’t be more excited for it’s the season of sparkles, glitter and lots of crafting! It’s also a time to be with and celebrate loved ones. It’s a time of firsts. And if you, like me have a new baby in the house then you will want to capture the little things. 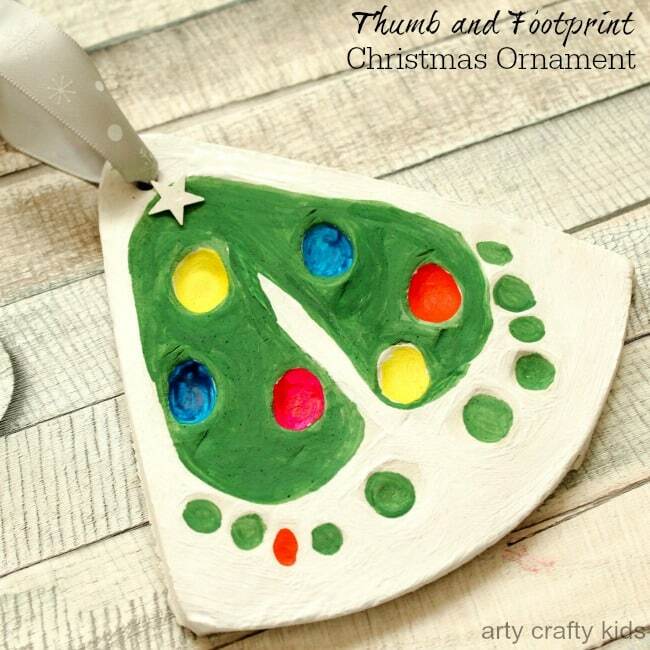 This baby footprints Christmas tree is designed to be an everlasting keepsake to mark that special first Christmas. The good news is that you don’t need to attend an expensive workshop or pay someone else to capture your baby’s footprints. Using inexpensive air dry clay, you can easily make your own ornament. 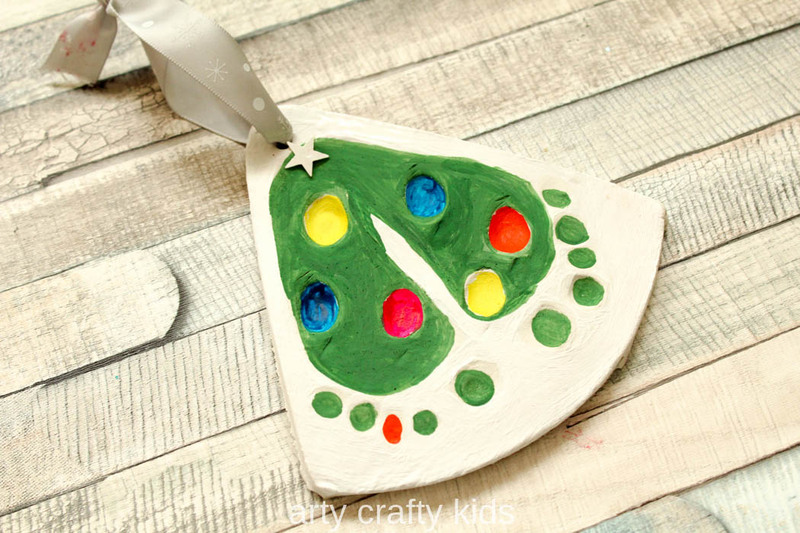 If you have an older child(ren) their second, third or fourth Christmases, Birthday’s and just because moments are just as special, and as they get older this craft becomes more fun as the kids will be able to paint their prints! All you need is a few basic materials, shall we get started? Knead approximately 250g of air dry clay until it has softened and then roll the clay out flat to about 1cm depth. If you are taking a baby’s prints, it is easier to hold him/her in a standing postion and then lower the baby’s foot onto the clay. Hold the foot into position and gently push it into the clay. Repeat with the second foot and then leave to dry for 24-48 hours. Add a few thumbprint “baubles”. 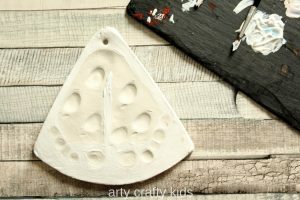 Trim the excess clay into a “tree” shape and if you intend to hang the ornament, use the end of the paintbrush to create a hole in the clay. While we are aiming for a Christmas tree shape, don’t worry if it doesn’t work out that way. Whatever the shape, your baby’s footprints will look gorgeous! Once dry, paint the outside of the prints white. For a smooth coverage, you may need to apply an additional coat of paint. 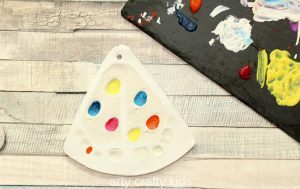 Fill in the thumbprints with various colours. 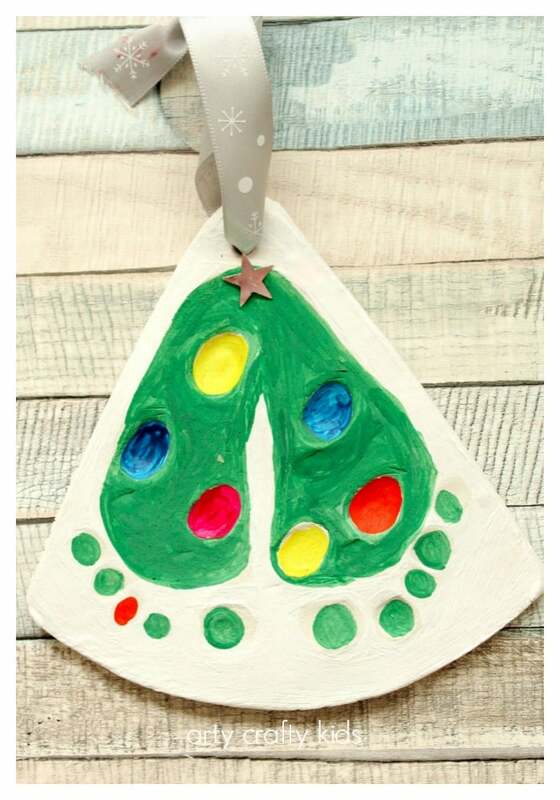 Paint the baby’s footprints green and once dry, add a star for decoration and a ribbon to hang. And now your Baby Footprints Christmas Tree should be ready to take pride of place on the tree and if you’re feeling inspired, maybe make a few more ornaments as gifts to the family! To receive our latest arts n’ crafts SIGN-UP to the Arty Crafty Kids weekly newsletter! 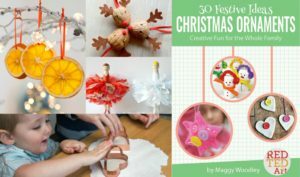 Before you go, if you are looking for more Christmas ornament crafts ideas, then you should check out this fabulous ebook from Red Ted Art! The ideas are simply gorgeous, with easy to follow instructions and put together in one handy book!